Officials identified the shooter yesterday at UCLA campus as Mainak Sarkar, a student who got his Ph.D from the school. Mainak Sarkar had a “kill list” at his home in Minnesota. He also shot a woman dead there. Her identity has not been released. 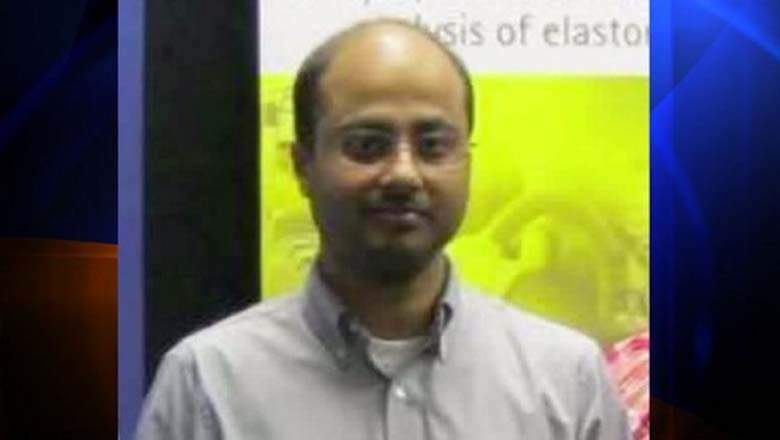 The shooter in an apparent murder-suicide at UCLA was identified Thursday as Mainak Sarkar, a student who got his Ph.D from the university’s engineering program who blogged about how much he hated the professor who was killed. His victim was UCLA professor William Klug, multiple law enforcement sources said. Los Angeles police did not immediately release a motive in Wednesday’s shooting, which happened in a small office in the engineering building, Los Angeles Police Chief Charlie Beck said. But sources told NBC News Sarkar had posted disparaging comments online about Klug, calling him a “very sick person” who stole computer code from him. “William Klug, UCLA professor is not the kind of person when you think of a professor. He is a very sick person. I urge every new student coming to UCLA to stay away from this guy,” Sarkar posted on a now-deleted blog called “the longdarktunnel” in March, the sources said.